See the instructions below on how to enter results from games. You must first have an account on the website and then request access to the division VP. See the instructions below on how to reschedule a rainout. Click here to reschedule a rainout. 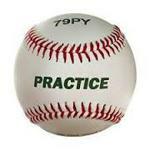 See the instructions on how to schedule a practice during the season. Click here to schedule a practice. Instructions can be found at dhs.pa.gov.